In my humble opinion, every day should be International Bacon Day, and I often treat each as if it were. But, all people rejoice, because today is the actual day. Happy International Bacon Day, everyone! In honor of this great holiday - Seriously who's working? Leave me a comment, I'll see what I can do about sending you some bacon in recompense. - I've stopped by every post from every blog in our linky tool for Bacon Month and created a link list, categorized for ease of clicking! We've got everything from Appetizers and Drinks to Cookies and Dessert and lots of great bacon recipes in between. What are you making with bacon today in celebration? 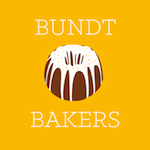 Might I suggest a few recipes from the following 116 links? Once again, many, many thanks to Julie from White Lights on Wednesday for organizing Bacon Month and sponsoring all the cookbook giveaways! 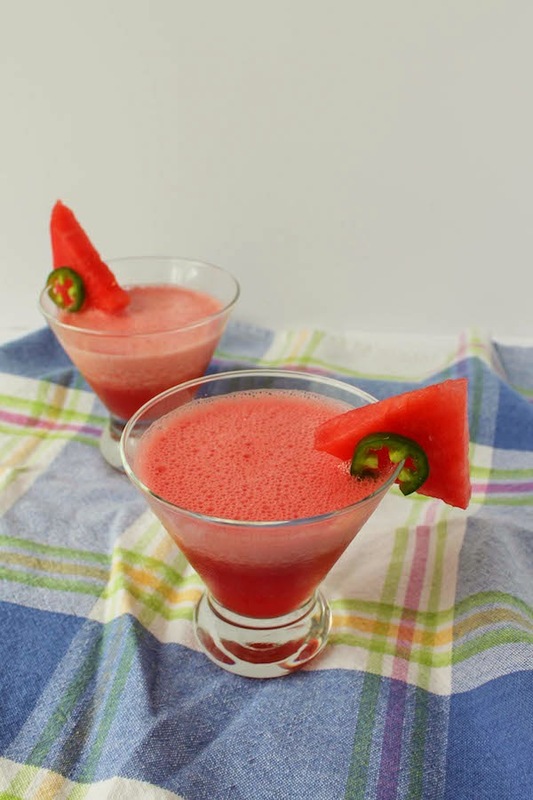 Fresh sweet watermelon chunks blended with ice and the double kick of jalapeño and tequila make a refreshing summer drink that will heat you up and cool you down. Today my post comes to you from Canada! Virtually speaking. Isn’t the internet a thing of wonder? It’s Booze Week at Cravings of a Lunatic and Kim is taking a much-needed holiday with her hooligans so a few of her drinking friends are sharing cocktails while she puts her feet up and spends some quality time with the family. If you haven’t met Kim yet, you are in for a treat! She’s funny, creative and snarky with a heart of sweet chocolate and caramel turtles. And there is probably some crunchy sugary cereal in there too. My contribution to the festivities is a sweet and spicy watermelon cocktail with tequila and jalapeño. So refreshing in the summer heat! Booze Week cocktails galore! I’ll be adding the links for Friday and Saturday as they go live, so check back! 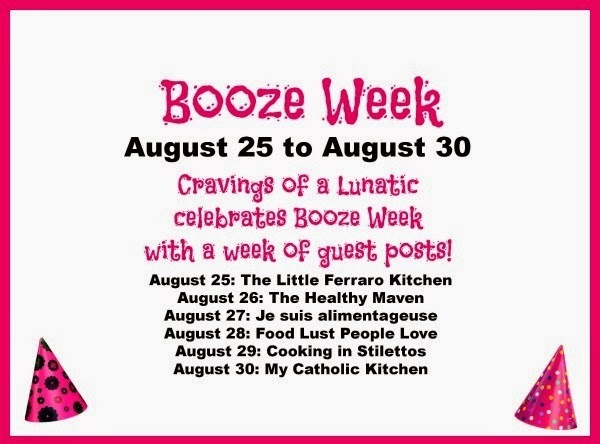 All booze, all week long, courtesy of Cravings of a Lunatic! In usual, over the top, Lunatic fashion, Kim has organized some great giveaways for you too! 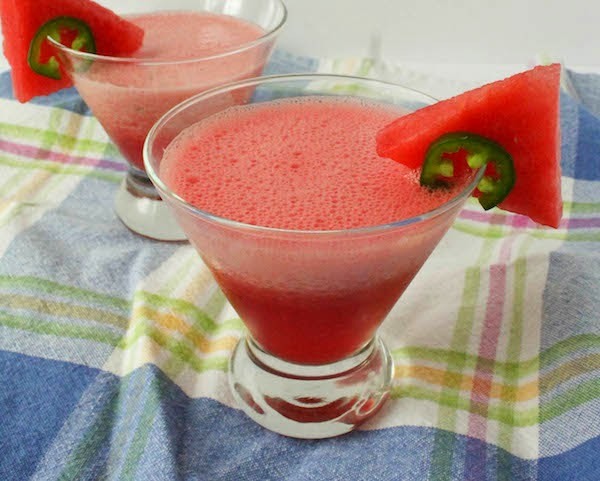 Scroll down to enter, but please head on over to Cravings to leave Kim a comment and to get instructions on how to make your own refreshing watermelon jalapeño cocktail. Thank you so much to Quarry Spoon and Molecule R for donating prizes for Booze Week. Molecule R has graciously donated two Mixology Kits. 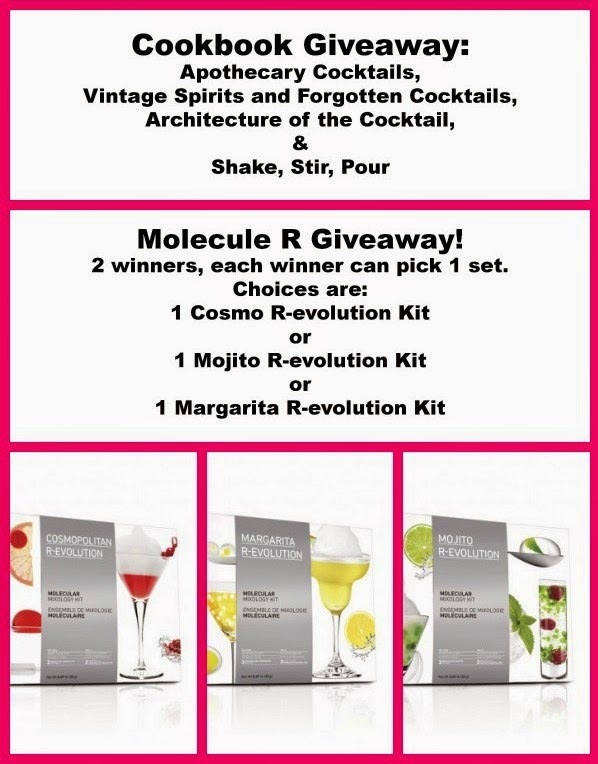 The winners can choose from their Margarita R-evolution Kit, their Cosmo R-evolution Kit or their Mojito R-evolution Kit. You can follow Molecule R on Facebook, Twitter, and Pinterest as well. Quarry Spoon has graciously donated one copy each of Apothecary Cocktails, Vintage Spirits and Forgotten Cocktails, Architecture of the Cocktail, and Shake, Stir, Pour. You can follow Quarry Spoon on Facebook, Twitter, and Pinterest. Keep in mind that prizes will only be shipped to US or Canadian addresses. Winner must be 18 years of age. Winner must answer a skill testing question when contacted. Winner has 72 hours to respond or a new winner will be drawn. Thanks so much for taking the time to enter. Keep in mind only the comment is mandatory. All other entries are optional. Sweet, salty and smoky flavors combine gorgeously in these completely unhealthy but divine cookies baked with bacon and dark chocolate and dark brown sugar. I’ve said it before in this space but new readers would be fooled into believing the opposite: I am not much of a sweet eater. I love making them for others and I’ll try some, just to make sure the mix is right, but I am not tempted by cookies or cakes or even ice cream unless they have something salty or bitter or strong about them. They can’t be just sweet. These cookies have it all! Dark chocolate for just a little hint of bitterness, bacon and bacon fat for the salty component and, of course, dark brown sugar and bourbon for the sweet and strong. I took them along to a dinner party the other night and even the reluctant cookie eaters were sold. To save myself from temptation, I took my empty plate home and left behind the few cookies that remained. Now I am regretting that. Next time I am going to add some toasted pecans as well. And keep them all to myself. :) Let me just warn you that if you don't have a problem with eating raw cookie dough, this one is trouble with a capital T.
Welcome to Week Four of Bacon Month! Many thanks, once again, to Julie of White Lights on Wednesday for organizing this celebration of my favorite food and sponsoring the giveaway of The Bacon Cookbook* this week. These cookies are an adaptation from this recipe on Recipe Girl. I figured, why use that much butter when you can use more bacon fat? Can I get a hell yeah? 3 1/2 oz or 100g dark chocolate – I used a Lindt bar. So much better than cooking chocolate! Chop the chocolate up into little chunks and set aside. Cut your bacon into small pieces and fry in a skillet until crispy. Scoop the bacon out with a slotted spoon, leaving behind as much bacon grease as you can in the skillet. Drain the bacon bits on paper towels. Separate out a small handful for decorating the cookies before they bake. Pour the warm bacon fat into a 1/2 cup or 120ml measuring cup and top up with butter until it is full. Allow to cool. my level as there was more than one-third a cup of rendered bacon fat from the fried bacon. Combine the flour, baking soda and baking powder in a small bowl and set aside. Chop your chocolate into small chunks. Separate out a small handful for decorating the cookies before they bake. With electric beaters or in your stand mixer, beat the bacon fat/butter with the brown sugar, bourbon and salt until the mixture turns light brown. Add in the egg and beat again. Isn't it amazing how light the brown sugar mixture becomes? Like magic. Now tip in the flour mixture and beat again until well combined. Add the larger piles of bacon pieces and chocolate chunks to the dough and stir until combined. When you are almost ready to bake, preheat your oven to 350°F or 180°C and prepare a baking pan by greasing it or lining it with parchment or a silicone baking mat. Drop the dough by spoonfuls on the prepared pan and press slightly with a wet spoon to flatten. I like to use a little scoop. Top with a few of the reserved pieces of bacon and chocolate. Bake for eight to 10 minutes or until golden brown on the bottom. Remove from the oven and allow to cool briefly. Place cookies on a wire rack to finish cooling completely. If you can resist eating these warm, you are a better person than I! Are you ready for more bacon deliciousness?! Now for the The Bacon Cookbook* giveaway! Please be aware that the book will only be shipped to US addresses. Canadian winners will receive an Amazon egift card for the price of the book. Full disclosure details can be found by clicking on Terms and Conditions on the Rafflecopter. This cookbook prize is sponsored by Julie of White Lights on Wednesday. *This is an Amazon affiliate link. If you buy after clicking on the link, I earn some small change for referring you to Amazon, at no extra cost to you. With only one half cup of sugar and one quarter cup of oil in 12 muffins, not to mention the steel cut oats, flax seeds, pistachios, raisins and cranberries, these guys are reasonably healthy but, more importantly, for me at least, they are chock full of flavor! 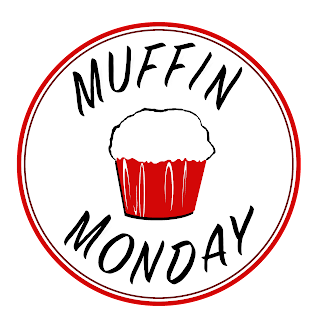 Ever since I started participating in Muffin Mondas more than two years ago, my mind has worked in strange and wonderful ways. I am always, and I mean always, on the lookout for muffin inspiration. Doing my shopping, cooking other recipes (sweet or savory) and especially when I am trolling the internet and reading posts on blogs that I love. This week’s inspiration came from the no-bake pistachio oat cookies made by my friend, Becca from It’s Yummy. Becca does share decadent sweets and desserts from time to time, and she’s a fan of all things bacon – so we have that fabulous love in common - but overall, she tries to keep things reasonably healthy. Part of her mission is to turn an unhealthy meal into something delicious and nutritious, without spending a fortune! And who wouldn’t appreciate that?! If you haven’t met her yet, please do go on over and say howdy and give her a little love. Besides being a great recipe developer and blogger, she is also one of the sweetest, kindest, most generous people you would ever like to meet. Anyhoo, here’s my muffin take on her great no-bake cookies! Thanks for the inspiration, Becca! Because the steel cut oats need soaking to soften enough to add to this recipe, start the day before you want to bake. Warm your orange juice and pour it over the oats in a small bowl. Cover it and set it aside until it is cool. Now put it in the refrigerator overnight. Ideally, you’ll want to let the oats soak for at least 12 hours. Give it a stir occasionally, if you think about it. Warm orange juice just poured in on the left. After an overnight soaking on the right. It turned a little starchy and sticky but don't let that bother you. 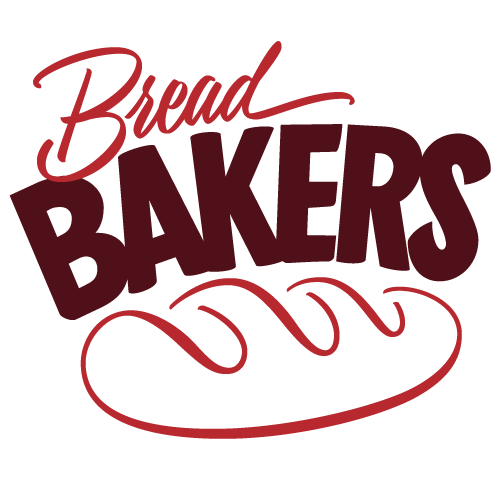 When you are ready to bake, preheat oven to 350°F or 180°C. Line a standard 12-cup muffin pan with paper cases or grease liberally. Chop your pistachios roughly and do the same with the dried cranberries if they are large. Set aside a small handful of the pistachios, cranberries and raisins for decorating the tops of the muffins before baking, if desired. In a large bowl, mix together your flour, sugar, flax seeds, baking powder, baking soda, salt and cinnamon. Toasted flax seeds are crunchy and delicious! I'll be putting them in and on everything from now on. In a smaller bowl, whisk your eggs, milk, oil and vanilla. Add the soaked oats and any liquid with them to the eggs/milk/oil bowl and stir well. Pour the wet ingredients into the dry and mix until just moistened. Some flour should still be showing. Fold in the chopped pistachios, cranberries and raisins. Divide the batter into the muffin cups and decorate the tops with the reserved pistachios, cranberries and raisins, if using. Bake in your preheated oven for 20-25 minutes, or until a toothpick inserted into a muffin comes out clean. Allow the muffins to cool for a few minutes in the muffin tin and then remove to a rack to cool completely. Or break one open and start eating it warm! Keeping a supply of puff pastry sheets in the freezer is like paying your insurance premiums. Except in this case, it is a delight to be able to take advantage of being paid up. A number of years ago, I discovered refrigerated puff pastry sheets and I began a crazy period when they featured almost daily in my baking repertoire with sweet fillings, savory toppings and all the permutations between the two. I even taught a small class for a few of my Malaysian friends who had never used puffed pastry and wanted to be able to duplicate some of my treats for their families. The beauty of puff pastry sheets is that you can throw them in the freezer (if they haven't already come frozen) to extend their use-by date because they thaw so quickly, even as you are preheating your oven. Then they bake to golden crunchy perfection! 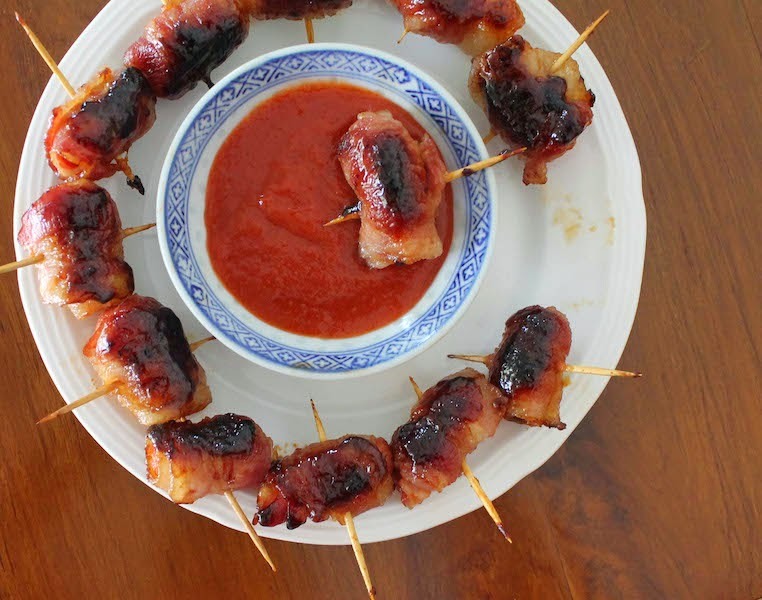 This week for Bacon Month I want to share a recipe I’ve adapted from this one on the BBC website. You can cut the twists into smaller pieces once baked to make the perfect snacking nibbles with cocktails. Even handier, these savory treats can be frozen once baked and rewarmed in the oven when ready to serve. 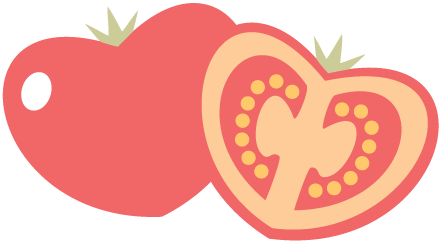 Today is the last day to enter the drawing for your copy of Seduced by Bacon*, donated by our Bacon Month organizer, the fabulous Julie of White Lights on Wednesday, so make sure you scroll on down and fill in that Rafflecopter form before it's too late! You can see the original blue plastic sheet that the puff pastry was rolled up in underneath. That's how big the sheet was originally. Turn the pastry so that the longest side is facing you and spread on the mustard. Line the pieces of bacon up on the pastry, leaving a small gap between them. Use a sharp knife to cut the pastry between each slice of bacon. Carefully start at one end and twist each piece of pastry 4-5 times. Place them on the prepared baking tray, leaving at least two to three inches in between the twists to allow space for the puff pastry to expand. You may have to bake these in two batches, depending on the size of your pan. Chill the pastry twists in the refrigerator for 15-20 minutes. Meanwhile, preheat the oven to 400°F or 200°C. Remove the twists from the refrigerator and brush with the beaten egg. Bake the twists for 20-25 minutes, or until the pastry is well risen and golden-brown and the bacon is crispy. Remove from the oven and set aside to cool a little. Serve warm or at room temperature. Now for the Seduced by Bacon* giveaway! Please be aware that the book will only be shipped to US addresses. Canadian winners will receive an Amazon egift card for the price of the book. Full disclosure details can be found by clicking on Terms and Conditions on the Rafflecopter. This cookbook prize is sponsored by Julie of White Lights on Wednesday.